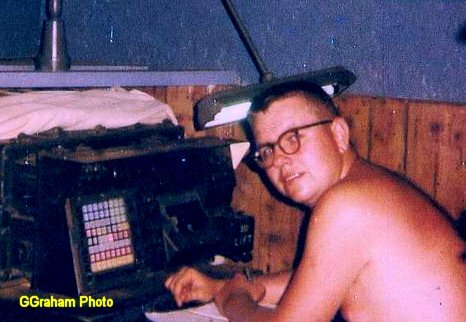 One of the oilfield service companies in the area of Oklahoma where I was raised had as its slogan,” Your phone call starts our truck.” As a crewman in the Fire Direction Center of Alpha Battery, 6/27th Artillery in 1969; every time the center would get a particular radio transmission, I would think of this phrase. 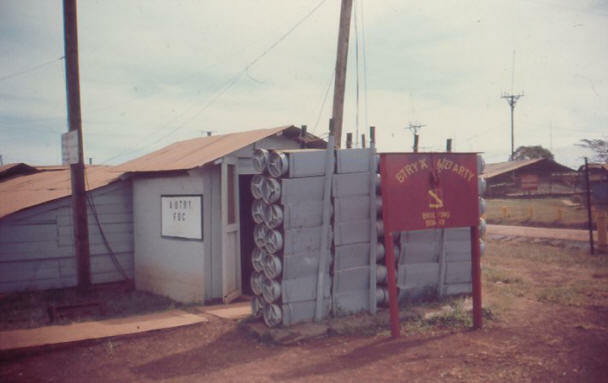 The Fire Direction Center always seemed to have several two-way radios monitoring various radio frequencies or “pushes” at all times. FDC Crewmen trained themselves to generally ignore the constant chatter. However; when the call sign “North Star Five-niner” (Alpha Battery Fire Direction Center) was mentioned; we quickly became alert. When the radio transmission of “North Star five-niner, fire mission, over”, was received; many things began to happen at the same time. The RTO would acknowledge the transmission with a “Send your Mission”, and begin receiving details as the type of mission, location of the target, type of target and if mission was to be observed. If the mission was to be observed, the direction of the observer to the target was requested. 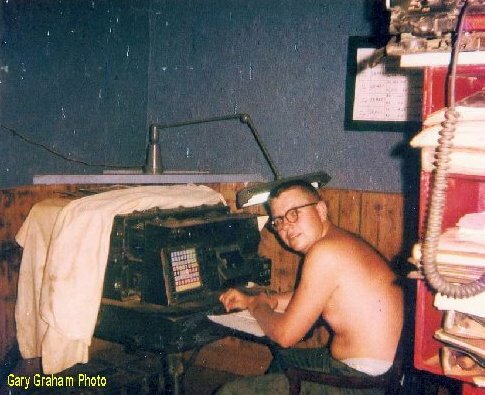 While the RTO was taking the pertinent information: another crewman would quickly “pull start” the generator necessary to power the FADAC (Field Artillery Digital Automatic Computer) which was used to assist in calculating the gun data for the mission. Yet another crewman would make a preliminary plot on a topographic map in order to determine a direction and approximate distance to the target. The elevation of the target would also be established in order make corrections for differences in height between the gun and the target (site). The Fire Direction Officer (FDO) also plotted the target on an Intelligence Map overlay to determine the proximity of any friendly forces to the mission. 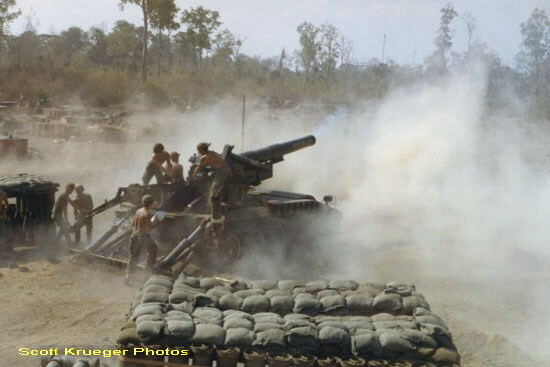 When the direction of fire and distance to the target was ascertained: the decision as to the type of piece (8-inch howitzer or 175mm field gun) to be used to fire the mission was made. A further decision as to the type of shell, fuse and powder charge to be used was also made at this time. The guns were given the direction in which they would be firing and ordered to reposition (re-lay) if necessary. Meanwhile other members of the section were also very busy. The Horizontal Chart Operator had plotted the target on the horizontal firing chart; set-up deflection markers and using a Range-deflection Protractor (RDP) had given range (distance to the target) and raw deflection (horizontal traverse) to the Chief Computer of the section for further calculation. The FADAC Operator meanwhile had inputted the target data, direction of fire and the type of shell and fuse and charge to be used into the computer and started it making calculations. 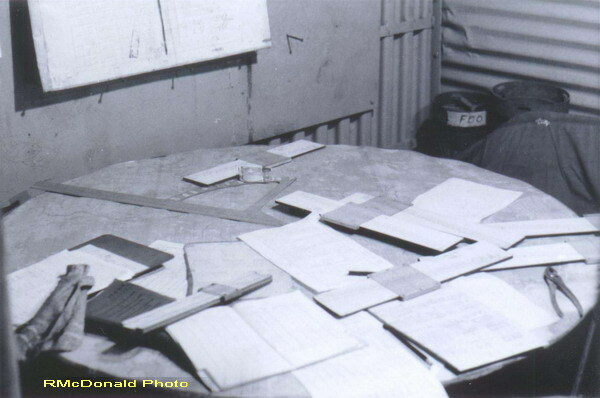 The Chief Computer began a paper computer record of the fire mission which included target data, the gun(s) firing and the lot numbers of the fuses, shells and powder to be used. The Chief Computer took the raw data from the Horizontal Firing Chart and recorded it on the paper computer record. He then used a book of firing tables as well as various slide rules (with corrections) to determine the deflection and quadrant (raw gun vertical traverse plus site and corrections) for the gun(s) to fire. Moreover; the maximum height above the ground which the shell would reach during the mission (max ord) was also determined at this time. The RTO then contacted the Air Warning Control Center (Quan Loi Air) as to the location of the target, direction of fire and the max ord of the mission and requested approval to shoot. When approval from the Air Warning Control Center was received; the mission could proceed. The FADAC finished its calculations and the FADAC Operator informed the Chief Computer of the results. 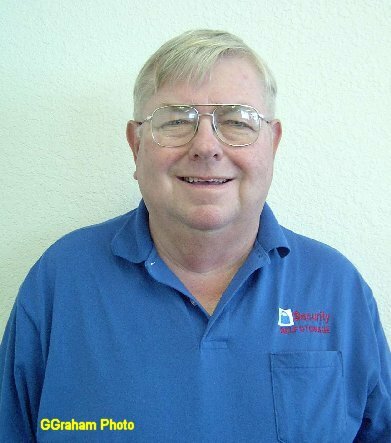 This individual compared the data from the manual calculations and the FADAC and if both were within tolerance; would call the gun on the phone and say--FIRE MISSION! The gun responded immediately and the Chief Computer read the information from the paper computer record regarding shell, fuse, powder, deflection and quadrant. The additional command of “Do not load” was also given. The gun(s) then prepared to fire. The RTO contacted the Observer on the two-way radio and informed the individual the Battery was preparing to fire and asked if he was prepared to observe. When the Observer was ready the Chief Computer contacted the gun(s) and gave the command, “QUADRANT” which was the command for the gun to load. Observer that the Battery was ready to fire. The Observer then gave the command to fire the Battery. The Chief Computer commanded the gun to FIRE! The RTO advised the observer the Battery had fired with a radio transmission of “North Star Five-niner Shot, Over.” The Observer acknowledged the shot. The time which has elapsed between when the mission was received by the Fire Direction Center and the first shot: generally 3-7 minutes. Five seconds before the shell impacted the RTO informed the observer, “SPLASH”. The Observer viewed the shell impact and contacted the FDC to make any necessary corrections. The Horizontal Chart Operator, FADAC Operator and Chief Computer then re-calculated the target data and sent it to the gun(s). The Battery fired again and again as the Observer bracketed the target. When the shells were on target; the Observer requested “Fire for Effect”. The Fire Direction Officer determined the method of “Fire for Effect” and informed the Chief Computer, who calculated the data and sent it to the gun(s). When the Fire for Effect was complete, the Observer was informed by the RTO. The Observer then either requested additional shells or gave an End of Mission and reported any surveillance of damage to the target to the Fire Direction Center. The Chief Computer informed the FDC and the gun(s), “End of Mission”. Activity in the Fire Direction Center and Gun Sections returned to its normal routine until-----NORTH STAR FIVE-NINER, FIRE MISSION, OVER. Your phone call starts our truck.